First owned by the Earl of Lonsdale for work on the Lowther Estate, then the same family since 1955. Original vehicle, and believed to be the oldest Commer. Found by current owner’s father in 1955, with initial refurbishment completed over a three year period. Again refurbished 1986, always yellow, and with summer use. Four cylinder engine with a Claudel-Hobson carburettor. It has the pre-select Lindley gearbox, connected by a short prop from the cone clutch/flywheel with a direct connection to the differential and chains to the rear wheels. Download and read the CommerCar History! 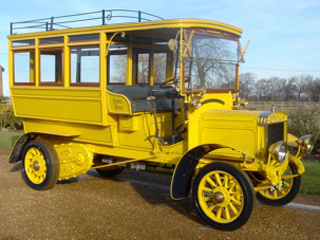 This is an original vehicle as it left the factory back in 1909, except for the lighting, which is also electric for convenience. Since 1985 it has entered and successfully completed every HCVS London to Brighton except for 2 when not entered. Also entered in the first run L to B in 1962 by a team from the Commer factory. Now better than new! After a 2 year rebuild, and finished in its original colour of gunmetal grey, and complimented by new mid red interior with black mohair hood. Total body strip down to bare metal, then comprehensive body repair with some new panels and paint by known and recommended Jaguar workshop. Thereafter a thorough rebuild taking many hours with photos and written log and invoices from the beginning, June 2014 to date. Originally exported to New York it has the original purchase invoice. Imported back in September 1990, it was converted to RHD in 1991. Upgrades carried out in this restoration. I have all the MOTs from 2002 when I purchased the car, and a number from 1991 to 2001. Originally an American export, re-imported 1990, and restored 2007. Great superior car with overdrive, power steering and extra instrumentation. Wood steering wheel and boot rack. Beautiful dark blue paintwork, with black interior, seats with contrasting white piping. New hood and hood cover. As new 72 spoke 5.5 x 15 chrome wire wheels. Excellent driving car with MOT and tax till the end of November 2012. Heritage Certificate with good history file and photos. Solid, straight rust free sample. Imported 2010, by the previous owner, a specialist American mechanic, and has the 289 cubic inch (4.7 litre) engine with C4 auto gearbox. New engine parts include oil pump,timing chain and gears, rockers and radiator. Also Edelbrock Performer strip and street intake manifold topped with 650cfm four-barrel Holley carburettor, with chrome air cleaner. Interior – the seats have new foam and embossed covers, with matching trim and headlining, and an original pattern steering wheel. New chromed front and rear bumpers and overriders, door handles, interior and exterior mirrors and rear lamp bezels. This is a large car, and once you get used to the size, with the bonnet stretching far ahead, and a lot of car appearing in the wing mirrors, it really is an easy car to drive. Just sit and let this car glide you in comfort and style to your destination. The S-Type, which covered both the Rolls Royce Silver Cloud and Bentley S Series were first built in 1959 to 1959. With a six cylinder 4887cc engine they were known as the Silver Cloud I or SI. 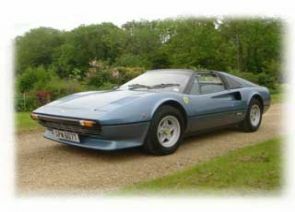 These were then replaced by the SII and Cloud II with the V8 6230cc engine with three speed automatic gearbox, giving a good top speed of 116mph. 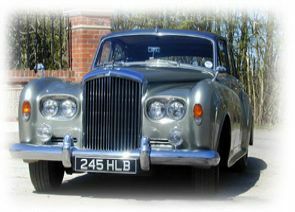 The last of the series the Silver Cloud III or Bentley SIII, varied only in the fact these had twin headlights, opposed to the single headlights of the previous models. Really everything was down personal choice with the last two models – Rolls or Bentley radiators and badging, or single and twin headlights. 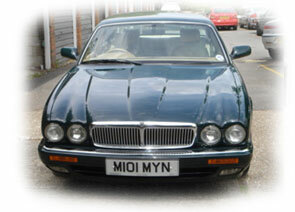 These were the last cars to have a separate chassis and body, which was known as the Standard Steel saloon. Due to this there were a number of companies such as, Mulliner Park Ward and James Young, building on the chassis, the most well known being the Continental, Flying Spur and Chinese Eye versions. Old English white with read leather interior. New head lining and wood re-varnish some years ago, and still in new condition. Engine rebuild 2008, main harness re-wire 2011. Various bodywork taken place over 12 year ownership. Good solid car and excellent drive with overdrive and power steering. Automatic, power steering and a super drive. New hood and carpets. Recent photographed work on body, and respray, with excellent chrome. Hard and soft tops. History since 2002 with MOT's. 5700cc, LHD, automatic with power hood. Total mileage is now 12512. 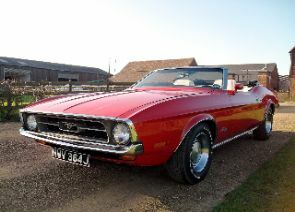 This is believed to be the lowest mileage Mustang convertible, and is now only for sale, due to bereavement for £30000. Please ring David on 07711 038383 or 01892 891166 for further details. 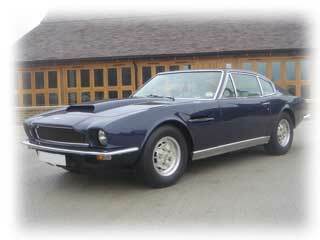 4.2 straight six, triple carb engine, with 4 speed manual gearbox. Metallic maroon with biscuit interior. Chrome wire wheels. Uprated brakes. Front and rear seat belts. Nice driving car, with all synchro gearbox giving easier gear change the earlier "Moss Box". This is an early Series 1, 2+2, with the more attractive polished ali cam covers. These cars have 9 inch longer wheelbase, and extra height, with two small rear seats, or extra luggage space, probably the more popular option. Actually, the extra glass and height make these models less claustrophobic than the straight 2 seaters. Brief history to 2004, then a good history file to date. Long MOT. A direct development from the Silver and Created Eagle models with the first six cylinders Alvis engines of the early thirties. 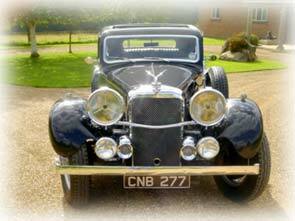 In 1932 the first Speed 20 SA with the Silver Eagle engine was produced in an agreement between Alvis and Charles Follett Ltd, the dealer who wanted more sporting and attractive coachwork designs. The SC and SD models came along in 1935, with the 2511cc engine enlarged to 2762cc and 87bhp. The SD model had a wider bulkhead and flatter petrol tank. CNN 277 was one of the first batch of nine SD’s produced, with Lancefield’s "extending boot" body, of beautifully proportioned design. On the coachbuilders, Lancefield Ltd., stand at the 1935 Earls Court Motor Show, the car was then sold in 1936, to George Hoybooth, better know by his stage name of "George Formby" . In the early eighties the car was owned by Sir Michael Leighton of Loton Park (site of the VSCC hill climb) who spent much on the car, including changing the brown and beige two tone paintwork to black. I purchased the car at auction in 2005, the previous owner having owned the car for 13 years. 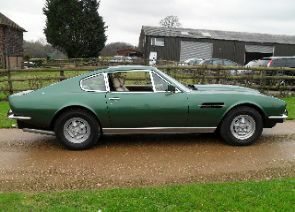 Although it seemed mechanically fine, the rear of the ash frame was beginning to rot, and the aluminium body was cracking at the corners of the boot and sun roof. The interior was quite tatty, the leather being original, but with a number of holes and rips. Over the last two years, we’ve stripped the body back to bear metal, and repainted in a dark blue. The interior re-upholstered in grey, and the woodwork re varnished. 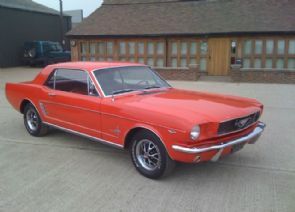 It will be ready for hire, after a few mechanical tunings, in the Kent and Sussex areas only, from the beginning of April 2009. Heavy steering in slow manoeuvres, it is a fairly easy car to drive, with an all-sychromesh gearbox, and the accelerator moved from the centre to the normal right hand position. Having purchased this car in early 2003, I managed to blow the engine. This has now been rebuilt, along with the uprating of the brakes. Has a racing clutch, and once on the open road it gives a glorious drive. N.b. The hood is a two person operation. 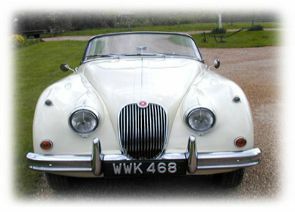 The well-known Jaguar XK range was first introduced in 1948 in the 120 guise, to be replaced by the 140 in 1954. By 1957 the first 150 was introduced, with a all new body panels, more simplistic, wrap round one piece screen, but giving more width, and cabin room. 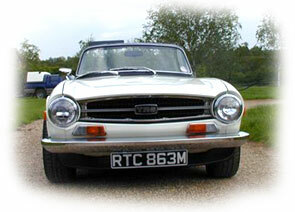 There were three body types – the coupe, drop head coupe (DHC) and the roadster (OTS - open two seater). The OTS, like our’s, has the hood which folds away into the cabin, behind the seats, and the slightly cut away doors, giving a beautiful clean line to the car when the hood is down. Engines were either 3.4 or 3.8, and came in standard or "S" versions had straight-port heads and triple carbs . Our car has a 3.4S engine giving 250bhp. 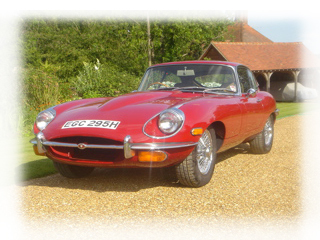 Added to the Classic Touring car hire fleet autumn 2002, this classic car was totally restored in 1992, with the engine again being rebuilt in 1998. This classic car is easy to drive, with a nice gearbox, it's more fun on A and B roads rather than motorways, although it has an overdrive. The hood is relatively easy to raise and lower. The boot space is minimal, but there is some space behind the seats. 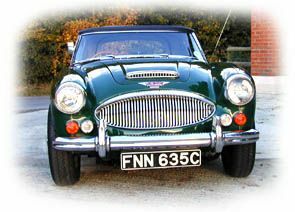 The first Big Healey was a sensation at its launch at the 1952 Earls Court Motor Show, with its 4 cylinder 2660 cc engine from the Austin Atlantic, and known as the 100/4. 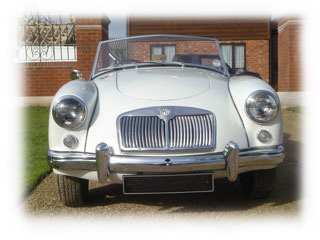 BMC took the car under its wing, and became the Austin Healey, with the bodies being produced by Jensen of West Bromwich, and the assembly carried out by MG factory. 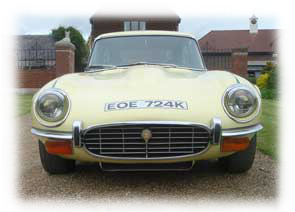 By 1956 the first six cylinder engine was introduced, and by 1959 this was replaced by the 3000 series, which lasted through to 1968 with various improvements and changes, the final model being the MK III, similar to our car. This 2912 cc engine pushed out 148bhp, and was capable of a top speed of 120mph. Also this model became more luxurious with its wind up windows, better instruments and walnut facia dash. Superb in Burnham Green. Fawn leather interior with green piping, matching green carpet, and leather head lining. 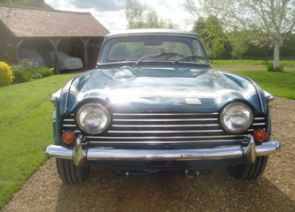 60,000 miles confirmed by 19 MOT's in an excellent history file. New sills in 2001 with further details in the file. 4 previous owners, the last been for 17 years. Automatic, this car is a beautiful drive. 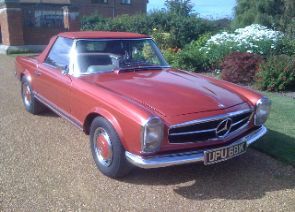 A true genuine example. .
Surrey Targa Top. Not used on the road since recent high standard restoration. Twin SU carbs. Valencia Blue with tan interior. RHD. Contact Paul for further information - mobile 07782 114211. 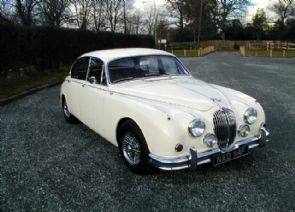 A very rare find in this condition, Old English White, with black leather interior. 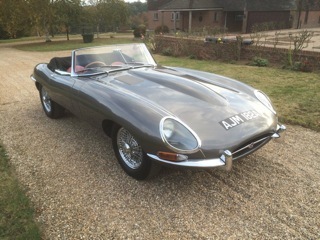 Originally an Australian car it has undergone a full restoration to a very high standard, using the original chassis and panels, so the panel gaps are superb. 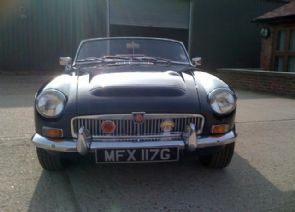 Highly recommended to anyone looking for a condition 1+ MGA. 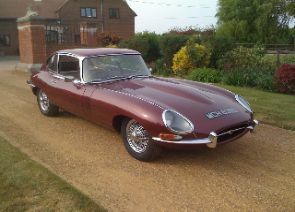 Excellent condition and just run in after £8500 engine rebuild. 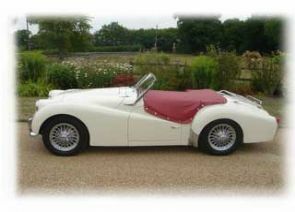 Due to re positioning of hire fleet this immaculate little British Sports Car is available for sale. "We've not driven a better Series II". Ex Californian car with original panels, so superb panel fit. Recent fabulous beige interior. Extensive history file, with current tax and MOT. 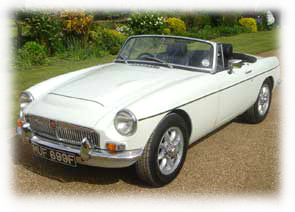 Suspension converted to shocks (Spax) and springs with "poly bushes"
1968 MGC, really exceptional sample and a delight to drive. Big engined (5993cc) big bodied (long wheelbase) - the last of what you could say the "Big Cats". In exceptional condition with a full service history from authorized dealers, with a genuine 97000 miles on the clock. Five rare Cosmic wheels, a special order cream leather interior, with walnut/matchwood inlaid trim and picnic tables. Fully equipped with electric seats, windows and air conditioning. A joy to drive, this car offers unique ride and handling qualities and will outdo many a sportscar, if required. A very capable and comfortable motor car, which will become a great classic in the future. This car should be cherished and cared for, and needs to go to someone who appreciates it.